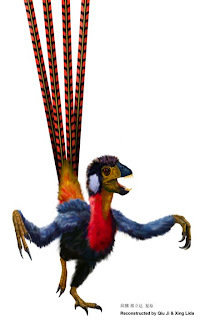 Reconstruction of Epidexipteryx hui above taken from The Loom. I saw that in the media today - and thought - "that looks familiar" - thanks to your blog. When is a Cephalopod Like a Snake? Open Query – What are Cephalopod Shells For? Are You Sucking on a Lemon or a Lime?